At 21, Dejah Naya moved to London from Liverpool to pursue her passion in studying and practising photography. 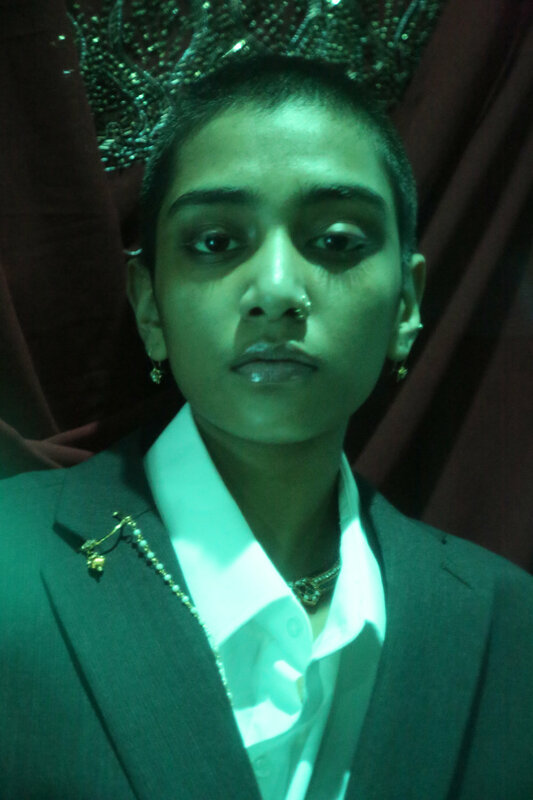 The aim with her photography is to 'represent PoC and especially South Asian women', to try and show that they are more than a 'fashion trend'. Dejah came from a small town, where skinheads and neo-nazis weren't an unfamiliar sight. She would occasionally see the iconography and had moments where she clashed with them ('I had a run in once with a tattoo shop ran by skinheads that wouldn't let me be in their shop'), so Dejah created this piece of work. Turning what she grew up around on its head: she stripped away the connotations of racial superiority held by these people, by applying the term 'skinhead' to a PoC. Visualised by military tones, industrial colours and the model's sweet yet sharp glare into the camera.